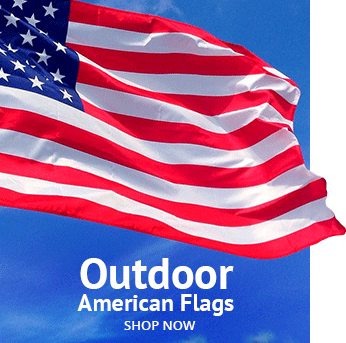 Novelty flags are a fantastic way to bring a sense of vibrancy, energy, and fun to your town. 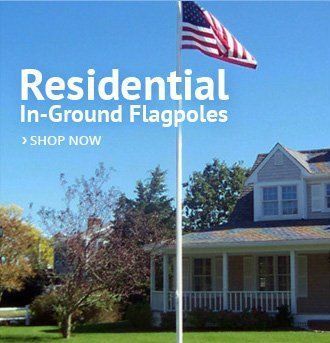 Many resort and beach communities use novelty flags to spruce up their community and give visitors and residents something to enjoy. 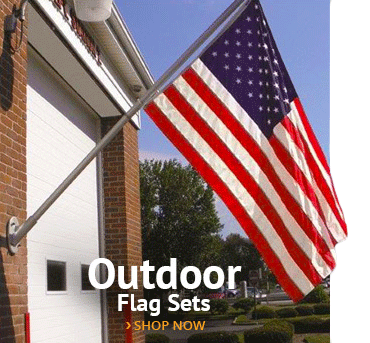 Novelty flags can quickly catch on, too, creating a new niche for retailers. 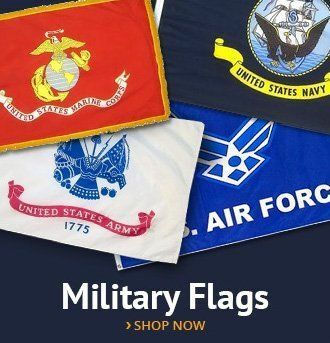 Novelty flags can lead to window stickers, license plates, license plate holders, mugs, and much more decorated with the novelty flag design. Jolly Roger flags have long been a fan favorite. The popularity of pirates in films like Pirates of the Caribbean and Disney classics like Peter Pan have helped to keep this genre alive for generations to enjoy. Flying the Jolly Roger will promote a sense of fun and adventure wherever it flies. The skull and crossbones design of the Jolly Roger flag has not always been associated with fun and fantasy. In the late 1600s and early 1700s, during the heyday of real pirates, the Jolly Roger flag evoked fear and dread. The actual origin of the name is murky, with some scholars suggesting it came from the French, jolie rouge, or pretty red. Others believe it came from a book by David Hatcher called Pirates & the Lost Templar Fleet, in which a character named King Roger II allegedly used the flag. Although the contemporary Jolly Roger features a skull and crossbones, the term Jolly Roger originally referred to any flag used by the 17th and 18th-century pirates. Today, however, the black flag with a white skull and crossbones is what everyone considers a Jolly Roger. The Rainbow Pride flag has a more recent origin than the Jolly Roger. Gilbert Baker, an army veteran who settled in San Francisco and became an artist, designed the flag after a challenge from Harvey Milk, the first openly gay person elected as major. Milk asked Baker to design a new flag as a symbol of gay pride for the city; he wanted something new and fresh for the community to embrace. Gilbert stitched together eight strips of vibrant, different colored cloth and created a huge, vividly chromatic flag. The city of San Francisco flew the flag in the first Gay Freedom Day Parade in 1978. The city’s gay community and supporters quickly adopted the flag, and soon it hung from many residences and businesses. Businesses began selling keychains, mugs, stickers, and other paraphernalia with the rainbow flag motif. Gilbert Baker’s efforts proved a significant boost to his career. He ultimately became one of the top flag designers in the world, designing many unique event flags, including the Super Bowl. Today, communities use various versions of the rainbow flag, including rainbow flags with peace symbols, happy faces, stars, and more. The Star Wars movie franchise has become a worldwide cultural phenomenon for over 40 years, now. Beginning with the first movie in 1977, flags were a part of the Star Wars universe. If you watch the movies in the first trilogy carefully, you will note five different flags symbols associated with characters and groups. The Rebel insignia and flag seen on the uniforms and helmets is a so-called “star bird” that resembles a phoenix. The resemblance obviously refers to how the rebels are like a phoenix rising from the ashes after being crushed by the Galactic Empire. You can see the six-spoked cog on the flags and uniforms of the Empire’s soldiers and cadre. It represents the might of the Empire and its control of the galaxy-wide civilization. The First Order symbol is like that of the Empire. This flag was used by those who did not want peace after the rise of the New Republic. The Galactic Republic was the government in control before the Clone Wars, according to the Star Wars mythos. This, too, was similar in design to that of the Empire. The famous Star Wars Jedis had their own flag. It was a pair of wings with a light shining between them, representing the light the Jedi Order brought to the universe. popular Star Wars movies and characters the public likes to see and can relate to, rather than the flags that only Star Wars “geeks” may recognize. If you’re a fan, pick up a 28” X 40” licensed Star Wars Movie Trilogy flags, featuring Stormtroopers, to declare your love of the franchise. Star Wars flags are a great novelty flag for communities to use to promote a Star Wars themed- park or movie week, or just to show support of one of the most popular culture fantasies in the last 100 years. 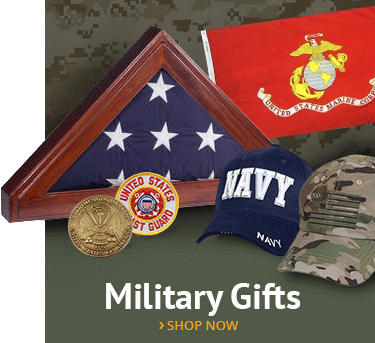 This entry was posted in American Heritage, Patriotic Decorating by Administrator. Bookmark the permalink.